Belle/Eric. Requests. HD Wallpaper and background images in the 迪士尼跨界（crossover） club tagged: disney crossover disney crossover belle eric. 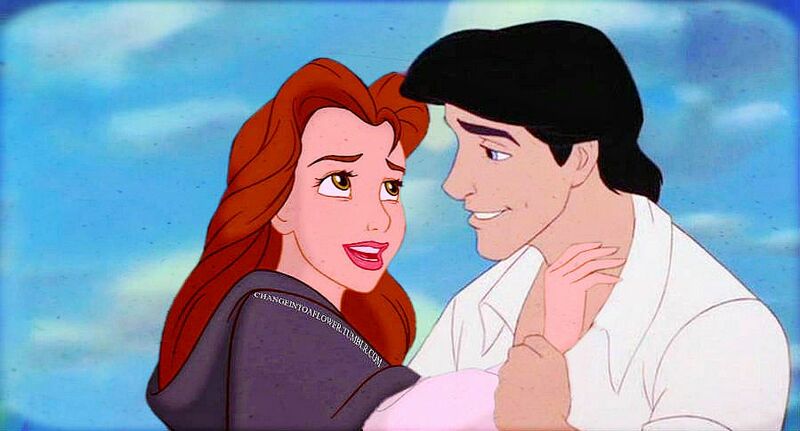 These Belle/Eric pictures are great. Good job. I don't know why, but to me, Belle looks like Ariel in this picture. Gorgeous!